Excellent Air Conditioning & Heating, Inc. is a reliable and trusted business that can service all your heating and air conditioning needs on Long Island. We offer commercial and residential air conditioning installation and maintenance as well as heating repair, boiler installation and specialized services to all of Long Island. We have years of experience installing, maintaining and servicing air conditioning systems all over Long Island. In the summer months, you rely on your conditioning to provide a cool and comfortable feeling in your Long Island home. We can ensure a comfortable environment by performing routine maintenance checks on your conditioning system in your Long Island home or business. If you are looking to purchase an air conditioning system for your Long Island home or business, contact Excellent Air Conditioning & Heating, Inc. Our experienced technicians can perform a quality installation and continue with scheduled preventative maintenance services. We will ensure that your cooling system always runs efficiently keeping you cool in the summer months and warm temperatures on Long Island. In addition to proper maintenance, high-efficiency conditioning systems are another way to save on your Long Island energy bill. If you’re considering upgrading your old, inefficient air conditioning system, call Excellent Air Conditioning & Heating, Inc. of Long Island to discuss your options. We also specialize in preventative maintenance and service agreements for the conditioning systems in your Long Island home or business. Our highly trained and certified technicians offer prompt and professional services for air conditioning repairs or maintenance in your Long Island home. We will ensure that your air conditioning systems works properly and runs at the highest level of efficiency in your Long Island home or business. If you are ever experiencing any problems with your cooling system, give Excellent Air Conditioning & Heating, Inc. a call. We will come to your Long Island home or place of business and provide any service that may be needed. Excellent Air Conditioning & Heating, Inc. offers service agreements so that our customers will not have to pay additional fees if their heating or air conditioning system fails. So if you require a heating or a cooling system repair or service for your Long Island home or business, you will be covered by our service agreement. Excellent Air Conditioning & Heating, Inc. also recommends preventive maintenance programs to ensure that your Long Island air conditioning system always runs efficiently. Don’t let the summer go by without scheduling a routine maintenance service for your air conditioning system. Excellent Air will ensure that the air conditioning equipment in your Long Island home is up-to-date and functioning at the proper level. With proper service, your Long Island air conditioning will operate efficiently, keeping you cool at all times, even on the hottest days. Excellent Air Conditioning & Heating Services is the best choice for cooling systems and maintenance on Long Island. We offer many other services for both commercial and residential customers. 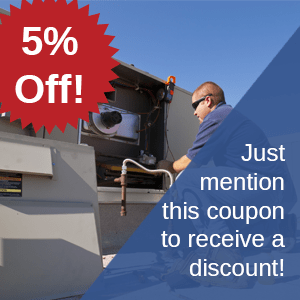 When you need an air conditioning installation or service for your Long Island home or business, call 631-427-0677.